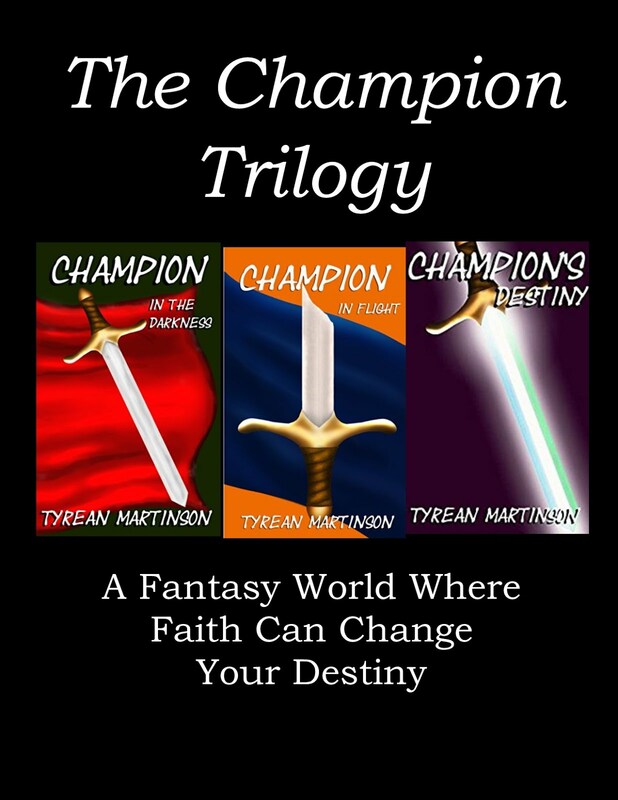 First off, a big tip of my hat to the wonderful Tyrean Martinson for inviting me to be a guest poster. Thank you so much for allowing me to share my voice with your readership! (Thank you, Randi!) As part of Tyrean’s guest posting series, I’m here today to discuss my “five reasons:” the five reasons to write honestly. What do I mean when I talk about writing honestly? I mean writing in your true voice—writing what’s in and from your heart to write. I mean writing that isn’t fictitious or forced. I mean writing that reflects your values, your likes and dislikes, and your own personal style. Writing that is you, the real you—ups, downs, good, bad, nitty-gritty and all. I see this happen frequently with writers: “Vampires are popular at the moment, so I’m going to write about vampires.” “SciFi is trendy right now, so I’m going to write SciFi.” However, these themes and genres aren’t what’s in their hearts to write. They ignore their true voices and instead write what’s trendy in pop-culture at the moment—and for that reason, the writing suffers. 2.) It will bring you the most success. Honesty rings true in writing. I have found that my most successful pieces have been written using my true voice, while pieces I’ve forced myself to write married more with failure than anything else. By being true to yourself, you’re being true to your words, and your readers will applaud you for it. 3.) It will highlight your unique voice. Writing honestly shows the world who you are as an author. It reveals to the world you—the real you—and shows everyone how you think and feel. It provides you with an outlet to express yourself when you otherwise might not be able to. You don’t want to hide your true self from the world, so why hide your true voice? 4.) It will bring something fresh and new to the field. By writing honestly, you’re contributing something to the field of writing. You’re giving the field something it cannot get from any other person other than you. Why copy the voices and styles of other writers when you can use your true voice and provide fresh, new content? Look back at the most successful authors—they all gained success by providing something the writing world had not yet seen. 5.) It will help someone else. Telling honest stories helps people. It helps them to feel needed, understood. It makes them feel less alone. Even fiction is based, in part, on reality, after all. There might be people out there who are struggling with something that you yourself address with your true voice. Getting your message out helps others out, and that’s always a good feeling. Here I’ve given you five reasons to write honestly, but there are many, many more out there. I encourage you to awaken and experiment with your true voice and discover all of the wonderful reasons to write honestly for yourself. And if you haven’t found your true voice just yet? That’s okay! Practice different writing styles and techniques and it will come to find you. If you let it, that is. Randi Lee is a writer, editor and designer who lives in New England with her family and much loved dogs. In college she followed several majors, including psychology, political science and environmental science, before finally pursuing the field of communications. An avid blogger, Randi uses what knowledge she has of the writing world to write articles about writing for other writers. A lifetime learner, she believes there is no such thing as “completing” an education. Her debut novel, “Affected,” is available on most major online bookselling sites such as Amazon, Kobo and Barnesandnoble.com. Visit Randi on her website: www.randileewrites.com. Randi would also like to apologize to all of the vampire and Science Fiction fans out there. She meant no ill by having a go at them and likes them a rather lot; they were merely the first two writing themes and genres she could think up. Eight years ago, there was no World Government. There were no agents, no carts. The fear of a nosebleed did not exist. Then came The Affection-an incurable disease that ran rampant across the planet, killing off roughly 60% of the human population. Two years later-with order in shambles and governments all over the world in ruins-the World Government formed. That's when the real trouble began. The WG made it its mission to segregate the sick (known as "Affected") from the rest of the population in an attempt to keep the disease from spreading. Agents were put into place to corral the ill and the God-forsaken carts were introduced. For the past six years, Ethan has lived a quiet life. He has done his best to remain out of the public eye and, more importantly, off of the agents' radars. However, when his ex-girlfriend, daughter of the famous scientist who first discovered the disease, is captured by agents and taken to World Government headquarters to be experimented upon, Ethan can no longer pretend the world around him doesn't exist. On his way to save her, Ethan is thrust into a place of turmoil, espionage and conspiracies. Will he be able to handle the pressures of reality? Will he be able to save her in time? Thank you for joining me, Randi Lee!!! BTW - I have a guest post at Laurel's Leaves this week, starting 6/30, so please stop by and visit with me about character development. 5 Reasons to Write Romance! 1. Reality Avoidance - The cable bill is wrong—again. The dog peed on the floor—again. And every single time someone opens the refrigerator door, the milk disappears. Life can just be so unexciting sometimes. It’s wonderful to write worlds where life’s little nuisances disappear by magic. 2. Study Fiction, Learn Facts. Reading romances and watching romantic movies, I learned a few things— Stubborn behavior without proper motivation is annoying. Lies always, always come back to bite you in the rear. And holding some things back heightens the mystery. 3. It’s Life. The quest for satisfying relationships is a basic need. Romantic tales take that portion of our reality and put it under a microscope. True love may not be the end all, be all, but choose wisely for smooth sailing. Choose unwisely and it’s a rocky road. 4. Be a Believer. Sure, the worlds may be fictitious with their unstained furniture and rock hard abs, but love is the one universal truth. No matter who, where, or when…people have the capacity to love. 5. Happy Endings. Life can be full of dark times and sadness. It’s good to write a genre that not only encourages, but expects a happy ending. It’s a small reminder that there are bad times, but there are good times too. Elizabeth's Latest Novel is Out! I love Elizabeth's thoughts on the capacity to love! And now, I must give my goals update. I have to admit, it's hard this month. I added "mom-brag" pictures at the end for a bigger positive. Note on Words Written: So much backstory, world-building, note-taking, and other messy stuff, that it feels like I haven't written anything at all. Good News (There's always some): I had four poems published, and I have a short story coming out on July 1st. Family News: It's canoe and kayak season with regattas every month. We actually can't make all of the regattas, but we made two in June and are headed to Nationals in August. One daughter chipped bone off of her foot playing capture the flag, missed her dance recital, and is supposed to "rest" although she's still attempting to lift weights, do core, and canoe carefully (she's in a lunge position for sprinting); and my other daughter is kayaking and lifting weights 4-6 hours a day. It's all pretty intense, but I love my family dearly so we are just living life intensely together, and I'm forcing everyone to rest now and then. My oldest canoeing before her foot injury. My oldest dancing (center) before her foot injury. My youngest cooling down after a race. The coach and my youngest daughter, walking to the dock at a race. Our team requires athletes to carry their own boats and it's something the kids take pride in being able to do - however, these kayaks and canoes are sprint-style so they are usually between 11kg and 17kg in weight, and very narrow. They are awkward, but not especially heavy to carry. FLASH 5 Reasons to Write Flash Fiction! Fun! – How about crafting 25 word stories based on the names of nailpolish colors? Or creating 100 word stories with a one word only title based on themes like green and underground? Limits! – Sure, limits are restricting but they often force us to think inside the box. Sometimes it takes more imagination to work with what you have, to work within the rules. It's thinking outside the box while staying inside it! Across genres! – I've written flash in genres ranging from literary to horror to surreal. It's a wonderful way to stretch that creative muscle without committing to a full-blown novel-thon. Space! – You can't spell everything out in flash fiction; there just isn't room. But it's within those spaces, between what is said and what isn't, that powerful moments – a subtle twist, some lovely nuance – reside. Readers become collaborators as they bring more of themselves to the story. Hard! – Many people think it's easy to "knock off" a 25 word or a 500 word story. Writing good flash fiction is fun, but it's harder than it looks. Sure, this can be considered a negative, but I like to think of it as a challenge. So, how about you? Are you up for it? BIO: Madeline Mora-Summonte is a writer, a reader, a beach-comber, and a tortoise-owner. She is the author of the flash fiction collections The People We Used to Be and Garden of Lost Souls. 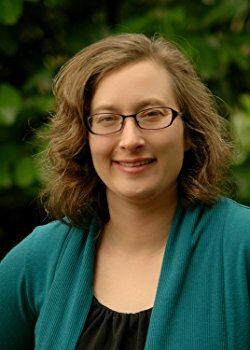 Notes from Tyrean: if you haven't read Madeline's work, I highly recommend both of her books and any/all of the short fiction she has published in various e-zines. She knows how to pack meaning into tiny stories that will amaze, entertain, or haunt you with their realistic world-building and characters. And, I just discovered another author has a new book out, so I just want to give a super short shout-out for Annalisa Crawford and her new book: You. I. Us. Plus, I had four poems published in The Skinny Poetry Journal last week (free to read online). And, the awesome Tara Tyler hosted me for a post on being an Author Branding Rebel! Please come visit. 5 Reasons to Write Short Stories! It's the writer's dream: snag an agent, sign a book deal with a big publishing house, see our work on the shelf at the airport bookstore. But writing novels takes time. And revisediting them takes a whole lot more. We need something along the way to boost our creative energy and remind us why we started writing those 300-page tomes in the first place: to share our work with readers. For the past six years, I've been writing and submitting short stories for publication. No agent is necessary, you can build your audience and compile publication credits, and you'll get paid for your work. Some novelists think they can't do short fiction, that their stories are too big. But some of my favorite authors have done it well: Ray Bradbury, Stephen King, China Mieville, and Alastair Reynolds. If they can, so can we. 1. 1. There are so many short fiction venues available now: magazines, anthologies, online zines, and eReader publications. Check out The Submission Grinder and find the right publication for your style and genre. 2. 2. Writing and selling short stories is an excellent way to build a portfolio of your published work and compile publication credits, proving your work is publishable. Once the rights revert to you, the stories can be republished elsewhere as reprints, expanding your audience even further. 3. 3. Pay varies widely from token to pro, but there are other benefits, such as exposure. Having your story published alongside a well-known author in a themed anthology will introduce new readers to your work. And pro-level sales will lead to qualifying membership in professional writers' associations. 4. 4. Writing short stories forces us to use our words wisely, to be clear and concise, to focus on conflict and tension, and to be constantly aware of the story arc. Writing a short story with a specific word count ensures that we make every word count. 5. 5. Perhaps the greatest benefit to writing short fiction is the ability to develop characters from your novels, giving readers some insight into their backstory—or creating characters that will someday appear in novels of their own. 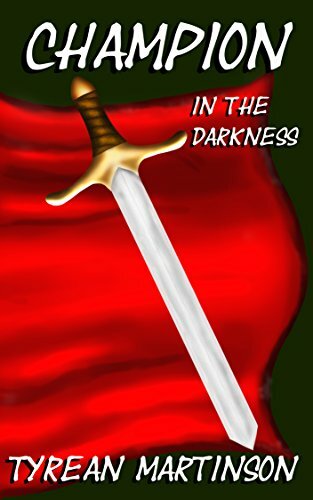 A few years ago, I wrote 7 stories about Captain Bartholomew Quasar, sold 6 of them to various publications, and then had a publisher approach me about writing a novel-length adventure. I've sold other tales with recurring characters—Coyote Cal & Big Yap (weird westerns), Mercer the Soul Smuggler (urban fantasy), Charlie Madison, Private Investigator (future noir)—and it's been a blast to learn more about them and their respective worlds with every story I write. This is a great time to be a writer. Don't pigeonhole yourself. Branch out, stretch those wings, and see what you can do. Note from Tyrean: I highly recommend Milo's fiction! His characters are compelling and his plots have roller coaster twists and turns that keep you on the edge of your seat. My favorite character happens to be Charlie Madison, P.I. (his series starts with Girl of Great Price), but I also enjoy all of Milo's other characters, too. In addition to Milo's awesome books, I also want to briefly give a shout-out to Laurel Garver for her newest book, Almost There, a poignant tale of love, grief, art, mistakes, and grace. Beautiful writing. Laurel will guest post in August. 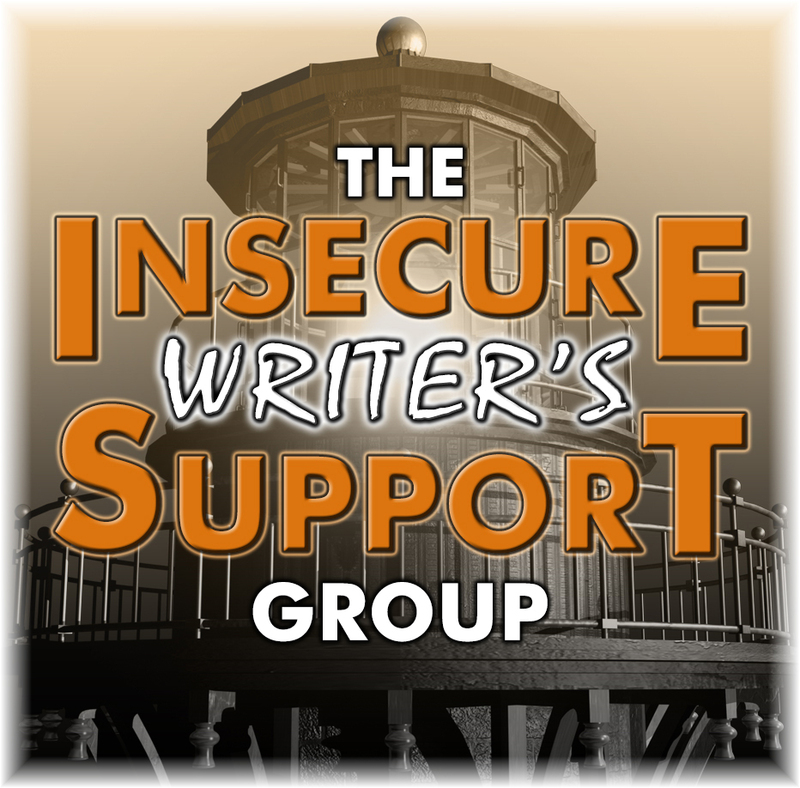 Posting: The first Wednesday of every month is officially Insecure Writer’s Support Group day. Post your thoughts on your own blog. Talk about your doubts and the fears you have conquered. Discuss your struggles and triumphs. Offer a word of encouragement for others who are struggling. Visit others in the group and connect with your fellow writer. "Summer turns me upside down. Oh, summer, summer, summer - it's like a merry go round." It's summer. Everything is upside down. Schedules change. The weather is amazing. And, my main jobs are: yardwork and writing - with a little tutoring thrown in to keep me honest. My happiness is also my insecurity: summer is so awesome that I want to wake with the dawn and sleep only when it's dark. I want to live every moment to the fullest. And, I want to write - somehow. This summer, I'm hoping to write something so different than "normal" for me that it fits into the upside-down-ness of my schedule. Maybe, I'll even try something Post-Apocalyptic? Sean MacLachlan gives five good reasons to write it. Hi! I’m Sean McLachlan, author of the Toxic World series of post-apocalyptic books. I’m here to tell my fellow writers why writing about miserable people in a radioactive, poisonous wasteland can be uplifting and fun. Here are five reasons to destroy the world in your novels and dance upon the ruins. Destroying Civilization Makes You Feel Good! Had a bad day? Get caught in a traffic jam while hurrying to a meeting? Did your boss scream at you in front of your coworkers? Get food poisoning at your local fast food restaurant? Did your upstairs neighbor let her dog poop in the foyer and then leave for work without cleaning it up? Well, now you can have your revenge. Why settle for wiping these people out when you can wipe out the entire society that spawned them? You’ll never have to deal with them again! And yeah, my upstairs neighbor actually did that. She was evicted. You Don’t Have to Write About Zombies! I’m sick of the zombie thing. Like really, really sick. Sicker than when I saw what my upstairs neighbor did. Luckily not all post-apocalyptic novels need to have zombies. Mine don’t. Well, they do have the tweakers, who are crazy, violent addicts who sniff chemicals from the Old Times. They’re kinda close to zombies, being mindless cannibals, but they’re not dead yet. Sad to say, I based the tweakers on the glue sniffers in Tangier, where I regularly go for writing retreats. Other than the cannibalism, I didn’t have to exaggerate them much. You Get to Tackle Real-World Issues! War, greed, overpopulation, nuclear holocaust, climate change, you name it! All those hot button issues that trouble us in the real world can make your writing more relevant. My books focus a lot on environmental degradation. In the United States, it’s become trendy to argue about whether humanity is affecting the environment or not. Personally, I don’t think there’s anything to argue about, but I think we can all agree that pumping toxins into our air and water supply at an ever-increasing rate is a really, really bad idea. You Can Really Get Your Readers Angry! In my books, one stop on the road to ruin was the Biowars. When the various factions found they couldn’t destroy each other with conventional weapons and the occasional nuke, they turned to biological weapons. Some of these manmade diseases targeted farm animals, but they mutated to affect other animals too. I’ve had readers send me angry emails about the fact that I made horses and dogs go extinct. I’ve never had a reader complain that I killed off 90% of the human population. Not sure what that says about my readers. Sean McLachlan hasn’t quite figured out how to destroy the Internet yet, but he’s working on it. Feel free to visit him at his blog, Goodreads, and Amazon. Are you ready for summer? Do you have any "ironic" stories from your past involving summer? And, have you written or read any post-apocalyptic fiction? I highly recommend Sean's Radio Hope! I read it and loved it! It's gritty good. :) The loveable characters (can I say that about post-apocalyptic fiction characters who shoot, fight, and bargain? ), and the action-packed plot make it a great read. And, after I originally wrote this post, I went on to read more Toxic World books: Refuge from the Righteous Horde, Scavenger, and We had Flags. All continued to be fast-paced, exciting, and excellently written! Last note (really): I've been adding some lists to listopia on goodreads, and I would love to see these lists added to by others, or get more votes for the books already listed. BTW, I didn't create lists for my own books, just other awesome authors' books. I would like some entries and votes for Urban Fairy Tales, and Best Future Noir Reads.